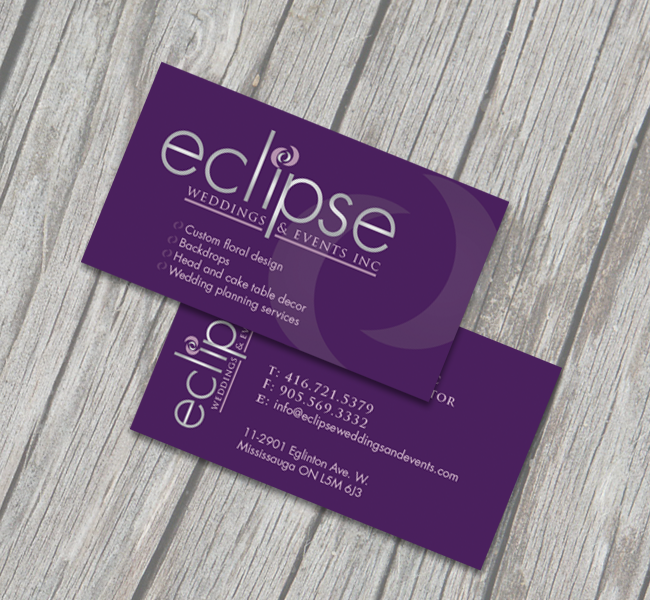 This custom brand created for Eclipse Wedding & Events had to allude to high-end affairs, and events but maintain a professional and approachable brand. A simple and subtle node to the sun and moon (eclipse) dotting the “i” added a splash of fun. 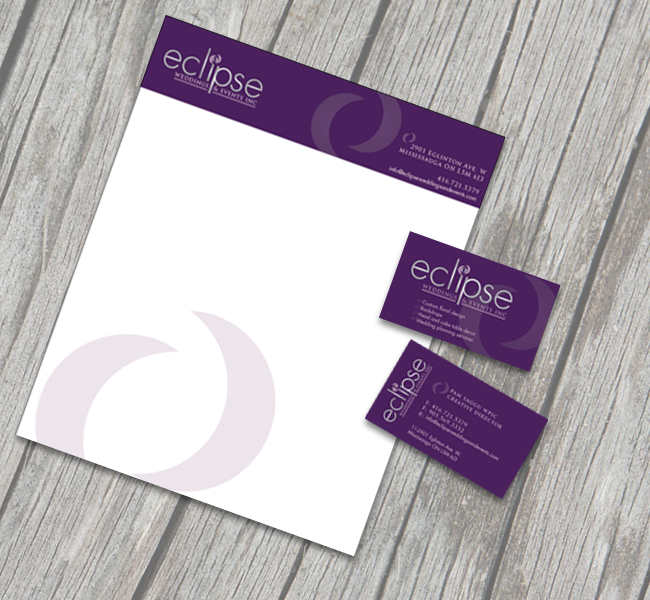 Custom business cards and letterhead were also a part of this branding package.